If you have been paying attention the past couple of years, you have probably noticed a disturbing trend in a health topic concerning both humans and animals. Tick-borne diseases are on the rise. Both the number of diseases transmitted as well as the geographic range of ticks have increased exponentially. We have known about diseases such as lyme, anaplasmosis, babesiosis, and ehrlichiosis for a while now. 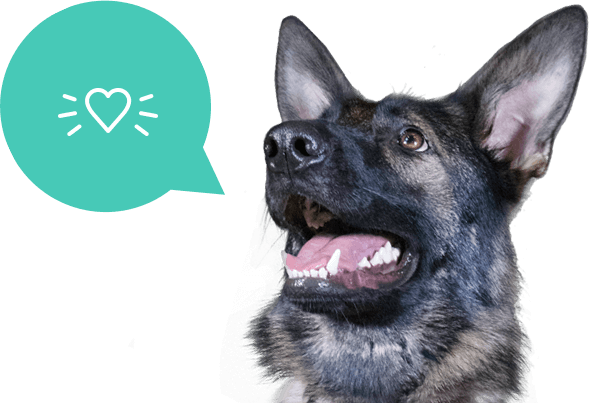 These cause very serious, chronic, and sometimes deadly disease in both humans and our canine and feline companions. Case reports of these serious diseases have exploded in the last few decades. Why is this happening? One of the primary reasons is that the ticks that carry these diseases are travelling into areas they have never been before. As average temperature increases across the country, tick range also increases. In addition, a longer summer means a longer tick season and more chances of exposure. While the spread of well known diseases is concerning, what is truly unsettling is the emergence of new tick borne diseases. The tick-transmitted alpha-galactose or red meat allergy is a newly discovered condition we still do not fully understand. Alpha-galactose is a sugar found in many mammalian meat products and what the allergic reaction is produced in response to. The allergy in some cases encompases more than just red meat and involves all mammal byproducts including milk. Some people become so sensitive that they react to the minute animal content in gel capsules. The allergy can be severe enough to cause anaphylaxis. Most recently, the condition has been linked to heart disease. Different ticks carry different diseases. 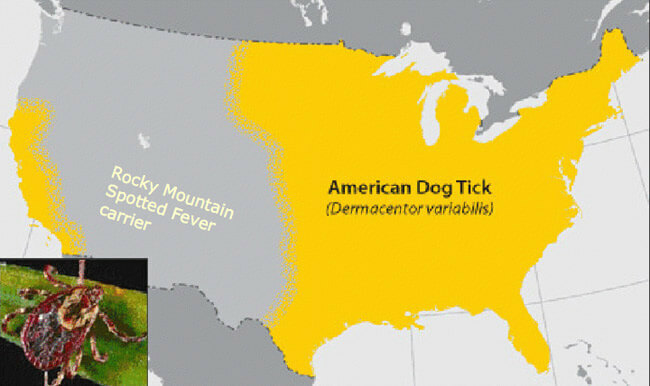 The three biggest culprits are the Blacklegged tick, the Lone star tick (implicated in alpha-galactose allergy), and the American dog tick. Our beloved Memphis, TN and the greater Midsouth area are within the range of all three. A single tick can carry multiple different pathogens at one time. There is no effective human vaccine to prevent tick-borne disease. The best way to protect yourself is by minimizing contact with ticks so that they never get a chance to bite in the first place. 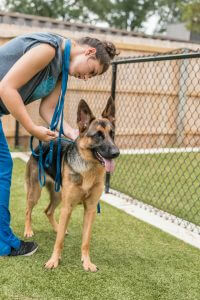 One way that ticks gain access to people is by hitching a ride on our furry friends. This is why strict parasite control is critical to ensure both you and your pet’s health. Luckily, we have excellent tick control options for our pets all of which include protection against other ectoparasites such as fleas. Most people think of active dogs frolicking on hiking trails, wooded parks, and farmland when they think of who is at risk for contracting tick-borne disease, but one of the deadliest pathogens carried by ticks is feline specific. Cytauxzoon felis is transmitted by both the Lone star tick and the American dog tick (both local), and is known for its high fatality rate and rapid progression; cats can die 1-7 days after the initial onset of clinical signs. The safest lifestyle for a cat is indoor-only, but if a cat does go outdoors it is critical to have effective tick prevention. Even indoor cats, though their risk is greatly minimized, can still contract tick-borne disease as ticks can find their way inside just as mosquitoes and fleas do. Options are more limited for cats than they are for dogs, but we do have Bravecto for cats 6 months and older. Although there is no Bravecto or Nexgard tablet for humans, spraying your clothes with permethrins or DEET-containing insect sprays is an effective repellent strategy. When enjoying the great outdoors, be sure to tuck your pant legs into your socks so that ticks can’t crawl up your legs, and stay out of grassy or brushy areas to avoid contacting them all together. Always check yourself (and your furry friends!) for ticks and remove them as soon as possible, as pathogens are not immediately transferred and prompt removal can prevent infection. There is no end in sight for the increasing danger of tick-borne disease to people and pets alike, but there are steps we can take to protect ourselves and our loved ones.